If anyone is challenging to buy for, it's Dad. Every year, as Father's Day approaches, I find it more and more difficult to think of a present my dad doesn't already have. 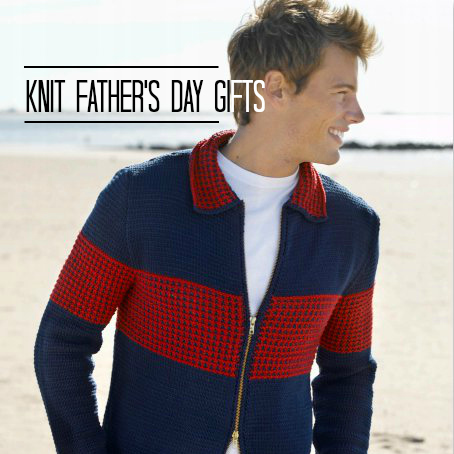 If you're like me, and you have a dad that has just about everything, you need to consider crafting him a gift from this collection of 12 Knit Father's Day Gifts. Not only do knit Father's Day Gifts show him that you went that extra mile to create something special for Father's Day, but because every knitted gift is unique, he's bound to not have it already. So if you're one of those who has already given dad countless ties and a seemingly endless amount of gift cards, turn over a new leaf this year and make him something crafty! 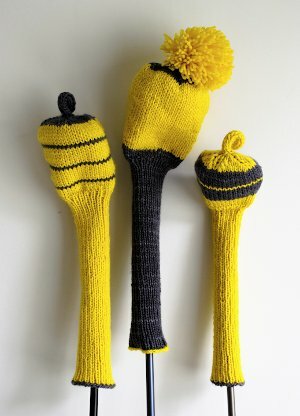 If you start now, you'll have time to make several knitted gifts just for dad this Father's Day. 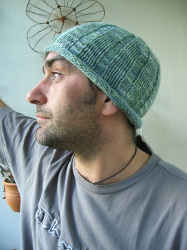 If you're not sure you'll have enough time to complete a larger project for Father's Day, these smaller knit items can be made super quickly and with ease. Don't let the title of the Man Purse fool you, this handy bag is great for guys on the go. Safely pack away sunglasses and other small items using this convenient "purse." A knit coffee cozy is also a great, and safe, route to go. Knit one of these up in about two hours in your dad's favorite colors. It might be warm now, but chances are when winter rolls around Dad will love to be able to pull out the homemade hat you made him for Father's Day. Choose from some easy Father's Day gifts below. Your dad will appreciate the time you took to make him such a thoughtful gift. Who couldn't use a few pairs of cozy socks or a nice knit jacket? Use these innovative projects below to make your dad a gift he'll always remember fondly.